When I was fourteen years old, I arrived home from school one day to find a large glass tank on my bedside table. Inside this tank was a curious creature, pale pink in colour, just floating there and eyeballing me through the glass. I instantly felt rather uncomfortable. What was this strange animal? Was it an alien? Why was it watching me so? Turns out, my younger brother thought it was a brilliant idea to buy a bunch of axolotls. He wanted to start his own business (my family is very entrepreneurial in nature) and to this end, he bought a few male and female axolotls. Within months, we had hundreds of baby axolotls swimming around in tanks in the garden. Every single room in my family’s house housed an axolotl, and our garden was riddled with holes from the children digging for worms. It was a nightmare. Look at its silly face. Wikimedia Commons. In my sister’s room, there was a tank with two axolotls in it. They weren’t particularly fond of each other, and one day, the particularly vicious pink female tore off the back leg of the smaller black axolotl. All hell broke loose. My sister started sobbing, my brother feared for the future of his business, and my parents retreated to the safety of their bedroom. But slowly and strangely, the little black axolotl’s limb grew back! 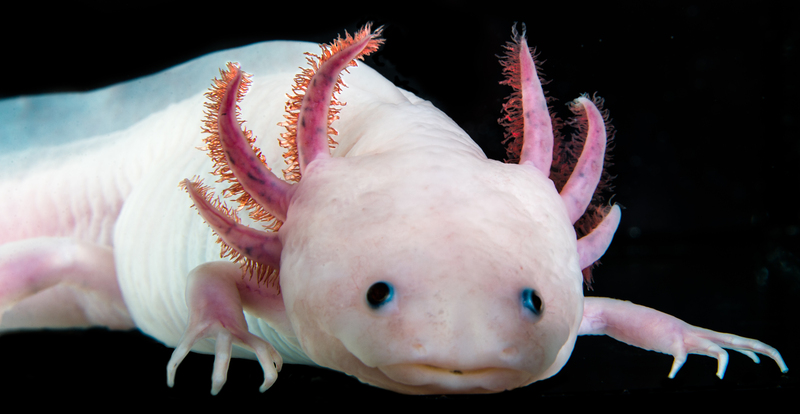 Recently, scientists have unravelled the full genetic code of the axolotl (Ambystoma mexicanum) and the planarian flatworm (Schmidtea mediterranea), shedding light on both animals’ amazing regenerative abilities. 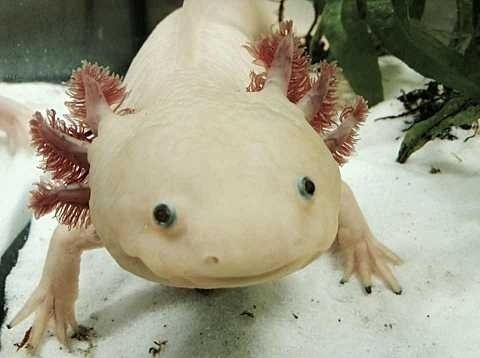 As my family discovered, axolotls can regenerate missing limbs, while planarian worms can regrow their entire bodies, even after being minced into hundreds of pieces. Turns out, axolotls have ten times the amount of DNA that we do – 32 billion ‘letters’ of DNA – making this the biggest genetic code we know so far. Moreover, as Elly Tanaka and her colleagues discovered, these strange little creatures lack a gene (Pax3) essential for development in most animals. The researchers were able to identify genes that are active in regenerating limbs. 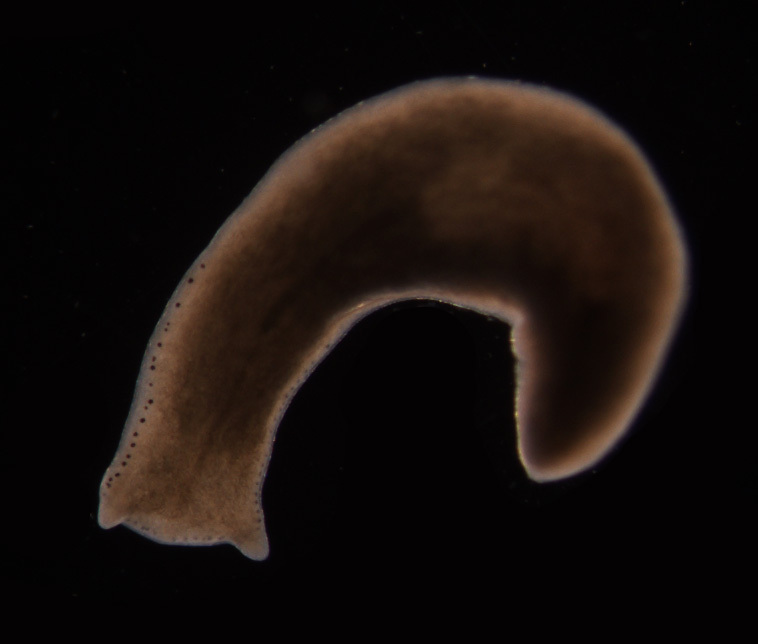 In contrast, Jochen Christian Rink and colleagues found that the planarian flatworm has just 800 million DNA ‘letters’, and lacks 124 genes we have that are essential for our DNA to repair itself, and for our cells to divide properly. Polycelis felina, a freshwater planarian, Wikimedia Commons. Both genomes contain a high level of repetitive DNA sequences, a feature that made their genomes more difficult to analyse. The authors used a new computational method that, together with long-read sequencing, allowed for an improved genome assembly. Certain repetitive sequences, which are known to be involved in embryonic development and stem cell activity, have previously been linked to regeneration in the Spanish newt, so it will be intriguing to learn whether they have a similar role in these two model organisms. Image: The Mexican axolotl Ambystoma mexicanum is a valuable model organism for regeneration research, since it has the ability to regrow body parts. This adult specimen lives in a colony at the Research Institute of Molecular Pathology in Vienna. IMP Vienna. You can read this research in Nature here.